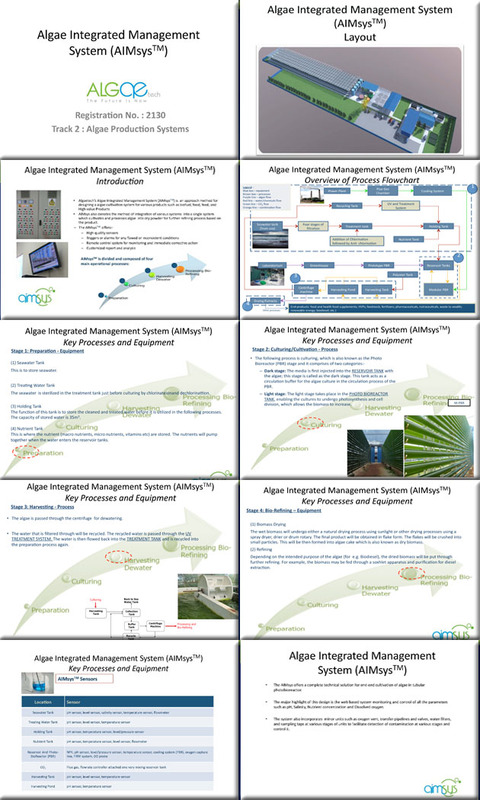 Algae Integrated Management System (AIMSYStm). AIMSYS is a method for designing an algae cultivation system for biofuel, food, feed, and high value products. The major highlight of this design is the web based system monitoring and control of all the parameters such as pH, salinity, nutrient concentration and dissolved oxygen. For more information about this entry, contact the author. email: ryan@algaetech.com.my. Entry 2130. by Algaetech, Malaysia. 2:17 minute video of Algae Integrated Management System (AIMSYStm). (2011).